I have to say, I really loved this book. I can't say that I'm strictly a 'plotter' or 'pantser,' but something in-between. If you're strictly one or the other, you might not like this book, but if you're someone who finds plotting too restrictive or pantsing (called writing organically in this book) doesn't provide enough focus, then this book might be right up your alley. This book helps you germinate your idea from just a concept to a skeleton that you can hang your story from without locking you into a rigid container that you feel trapped by. It also helps you determine whether there's enough material to create a full-on novel, or whether it might be better suited to something smaller. I actually got this originally as a Kindle book. After reading it three times in the space of four months, I broke down and also purchased the softcover edition. I feel it's that good. It also prompted me to purchase the author's software package -- Snowflake pro. If you read and like this book, then I definitely recommend getting the software. 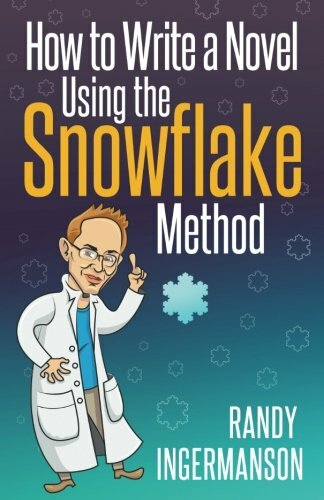 It makes using the Snowflake method extremely easy and straight-forward. Are you writing a novel, but having trouble getting your first draft written? You've heard of "outlining," but that sounds too rigid for you. You've heard of "organic writing," but that seems a bit squishy to you. 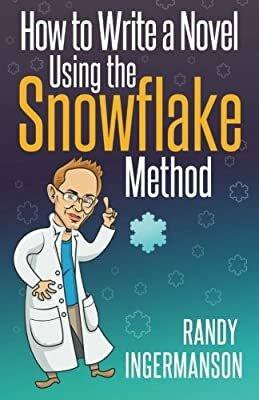 Take a look at the wildly popular Snowflake Method's ten battle-tested steps that jump-start your creativity and help you quickly map out your story. 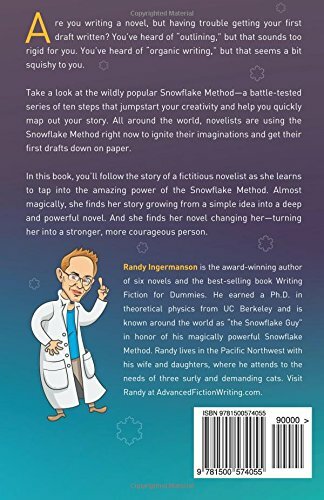 All around the world, novelists are using the Snowflake Method right now to ignite their imaginations and get their first drafts down. In this book, you'll follow the story of a fictitious novelist as she learns to tap into the amazing power of the Snowflake Method. Almost magically, she finds her story growing from a simple idea into a deep and powerful novel. And she finds her novel changing her into a stronger, more courageous person. 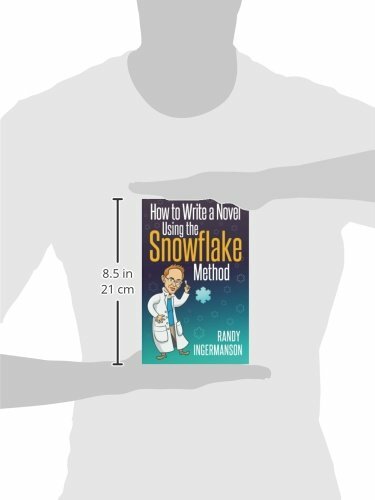 How to Write a Novel Using the Snowflake Method is a“business parable” -- a how-to guide written in story form. It's zany. It's over the top. It's just plain fun. It shows you how it's done, rather than tells you. You'll learn by example how to grow your story idea into a sizzling first draft. How to define your "target audience" the right way, so you know exactly how your ideal readers think and feel. Forget what the experts tell you about "demographics." How to create a dynamite selling tool that will instantly tell people whether they'll love your story or hate it. And you want them to love it or hate it. How to get inside the skin of each of your characters -- even your villain. Especially your villain. How to fire-test each scene to ensure it's high-impactt -- before you write it. After college, she got a job that bored her to tears -- but at least it was practical. On a whim, Goldilocks decided to do the one thing she had always wanted more than anything else -- she was finally going to write a novel. She didn't care if it was impractical. She didn't care if nobody would ever read her novel.